Lama Zopa Rinpoche, Tso Pema, India, January 2016. Photo by Ven. Roger Kunsang. “Even if other people don’t practice the good heart, still we should practice the good heart because we want happiness and we don’t want suffering. Even if other sentient beings don’t practice the good heart or they try to harm us, cause us loss, kill us and so forth, if we practice only the good heart from our own side – if we are kind and only benefit others with our body, speech and mind or at the very least we don’t cause harm to other sentient beings, then we will experience happiness,” Lama Zopa Rinpoche explains in the Lama Yeshe Wisdom Archive E-Letter for August 2011. “As a result of one act of kindness, the good heart, we will experience the result, happiness, for thousands of lifetimes. From that one act of kindness, benefiting someone with our body, speech and mind or at the least not harming another, the result is happiness. This is the result, even if we are looking only for our own happiness. “Generating the good heart helps all sentient beings, and at least not harming sentient beings purifies instantly our negative karmas and defilements created from beginningless rebirth and we collect unbelievable merit. More information, photos and updates about FPMT spiritual director Lama Zopa Rinpoche can be found on Rinpoche’s webpage on FPMT.org, including posts on Rinpoche’s recent trip to Bhutan. 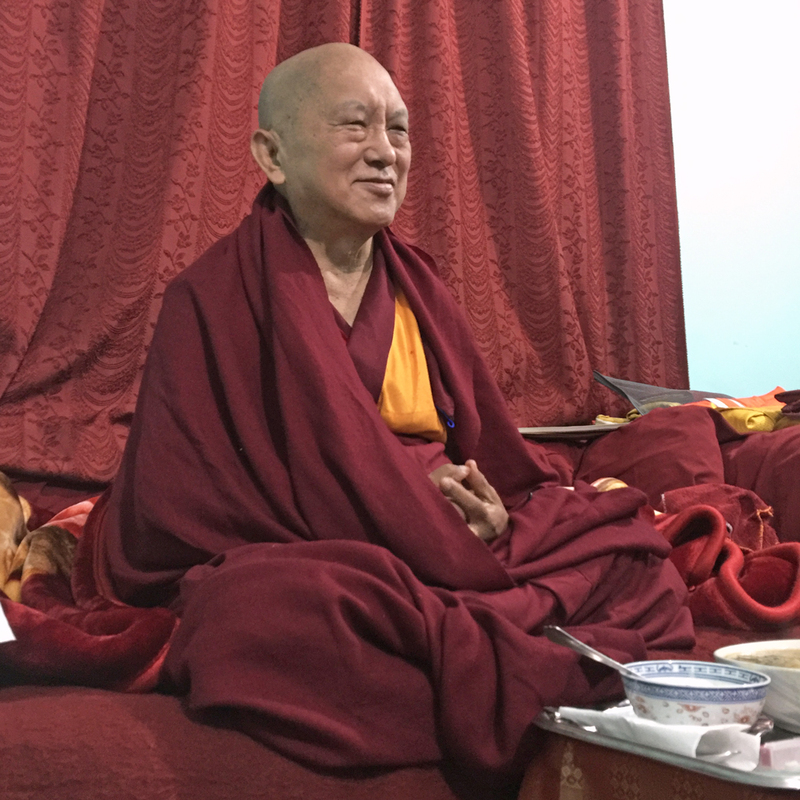 If you’d like to receive news of Lama Zopa Rinpoche and FPMT via email, sign up to FPMT News. If you cherish another person, another sentient being, there is enlightenment and you cause them to achieve every happiness. If you don’t cherish them, there is no enlightenment for you. Therefore, this person, this one sentient being, is the most precious one in one’s own life. Therefore, what is called I needs to be let go forever. And what is called other, even one sentient being, that is to be cherished forever.